The Enchanting Hilton Seychelles LaBriz Resort & Spa in Silhouette Island - Holy Smithereens! Twenty kilometres northwest of Seychelle’s capital, Mahe, lies the island of Silhouette. 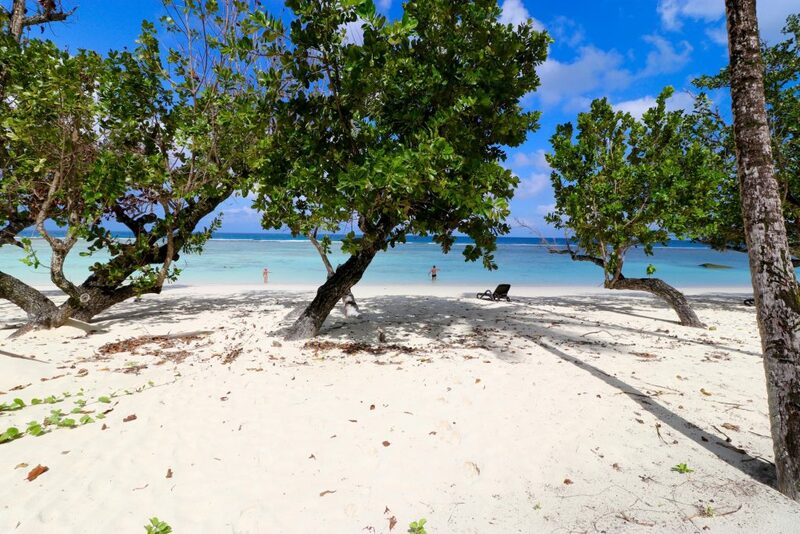 With its pristine beaches, lush vegetation and a very healthy population of flora and fauna, the island was once home to pirates and plantations. Today, Silhouette Island is a designated National Park where giant tortoises, along with other many other rare and indigenous species, roam the island freely. It is also home to Hilton Seychelles Labriz Resort & Spa. Being the third largest island in the Seychelles, Silhouette island can be reached by either a 15-minute helicopter transfer, or a 45-minute speedboat transfer (the Hilton has a private jetty). A private speedboat transfer can also be arranged if necessary. 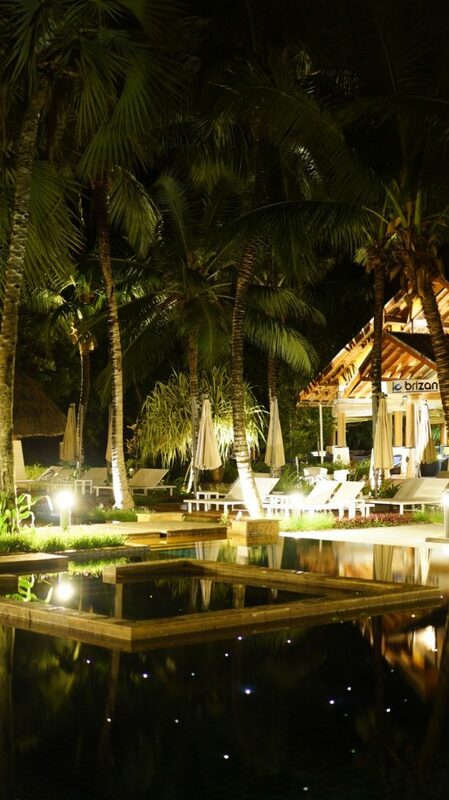 Here’s a preview of my stay at the Hilton Seychelles Labriz Resort. 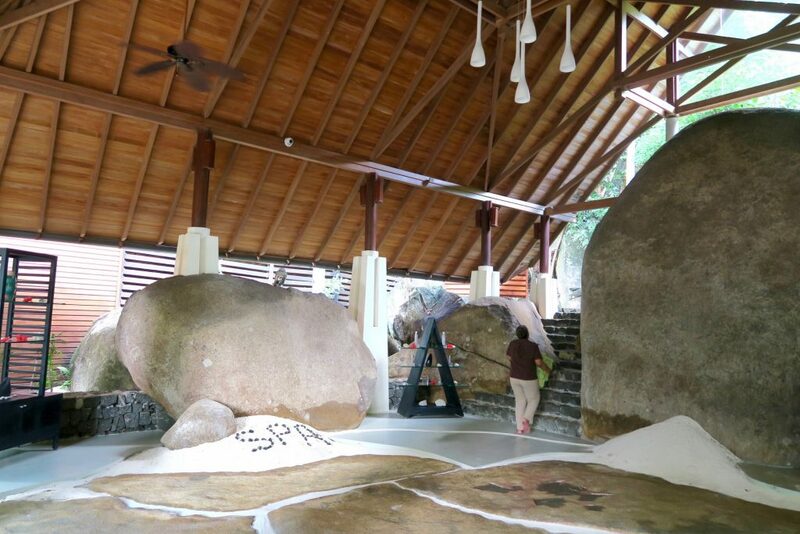 Seeing those huge boulders by the shore is making me want to head back! We checked in to a King Beachfront Villa, which is accessed by a buggy from the reception. The entire resort is massive and sprawling, you really need a buggy or a bike (for hire) to go around the island. 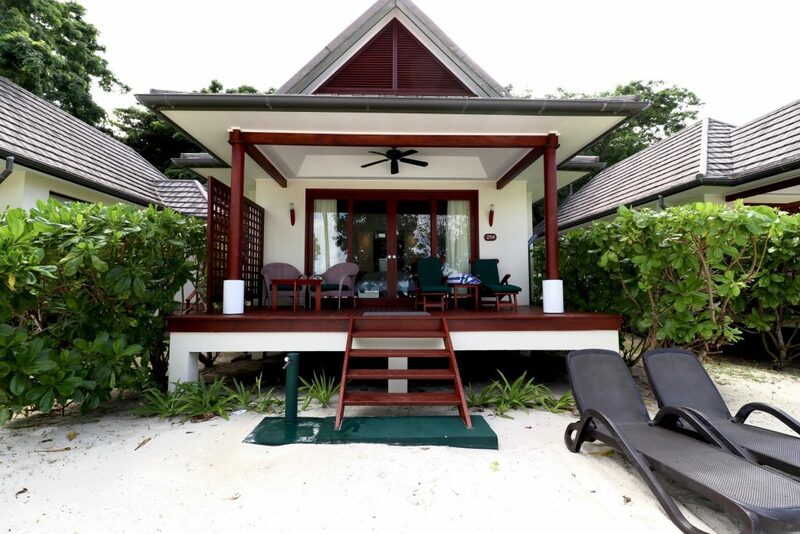 The villa is generously sized at 101 square metres (1,080 sq feet), has a living area with couch and coffee table, tea and coffee making facilities, flat screen tv and DVD player. The best part is you are just a few steps away from the beach. the beach is literally steps away! 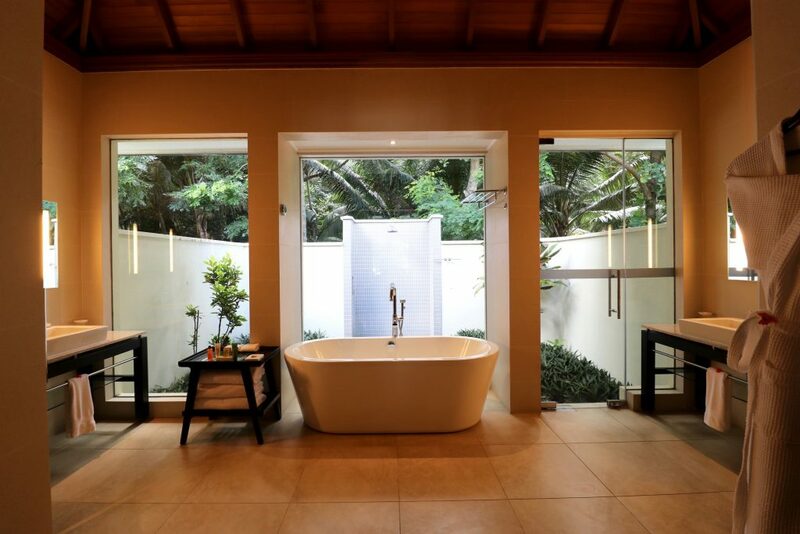 Special mention is in order for the bathroom of the King Beachfront Villa. 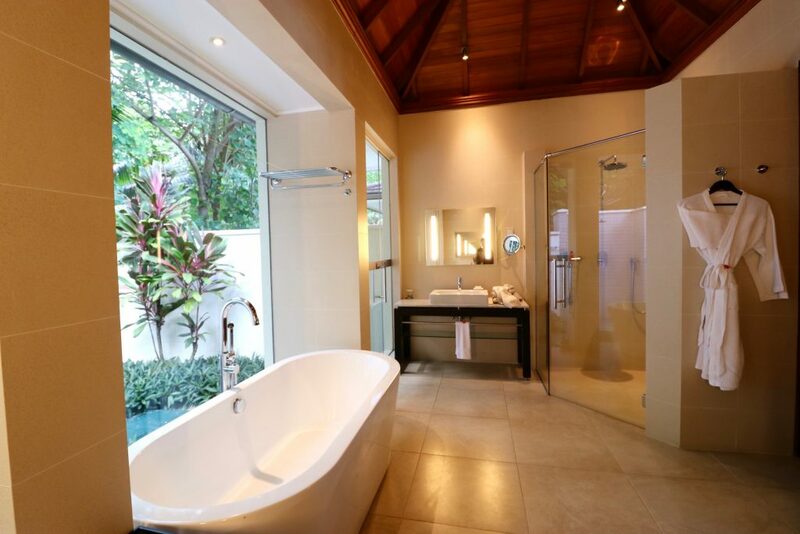 The bathroom layout is simple and symmetrical with a lot of natural light and space. I enjoyed the outdoor showers during the day and indoor at night, and I recommend this pattern as taking a shower outdoors during the evening tends to attract insects to the light. There are 6 choices of restaurants at the Hilton Seychelles LaBriz Resort. 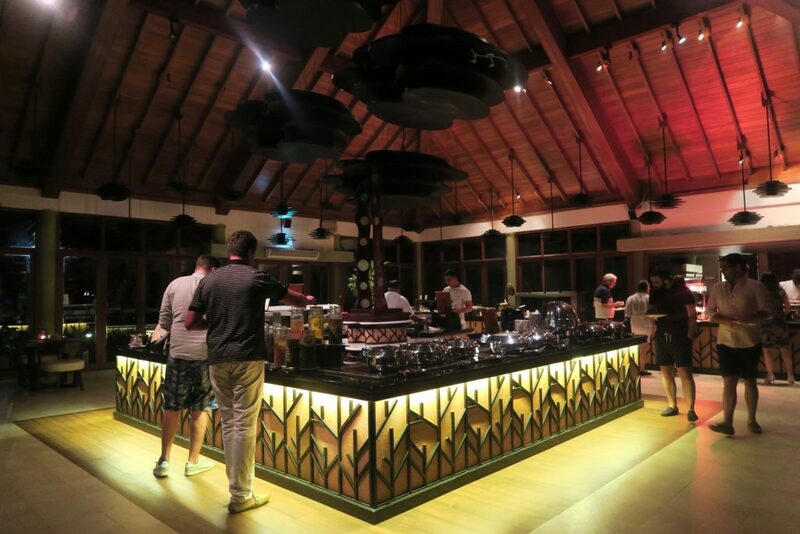 Each of them serve different kinds of food so it’s perfect for week-long stays, which is about the average duration of a guest in Silhouette Island. 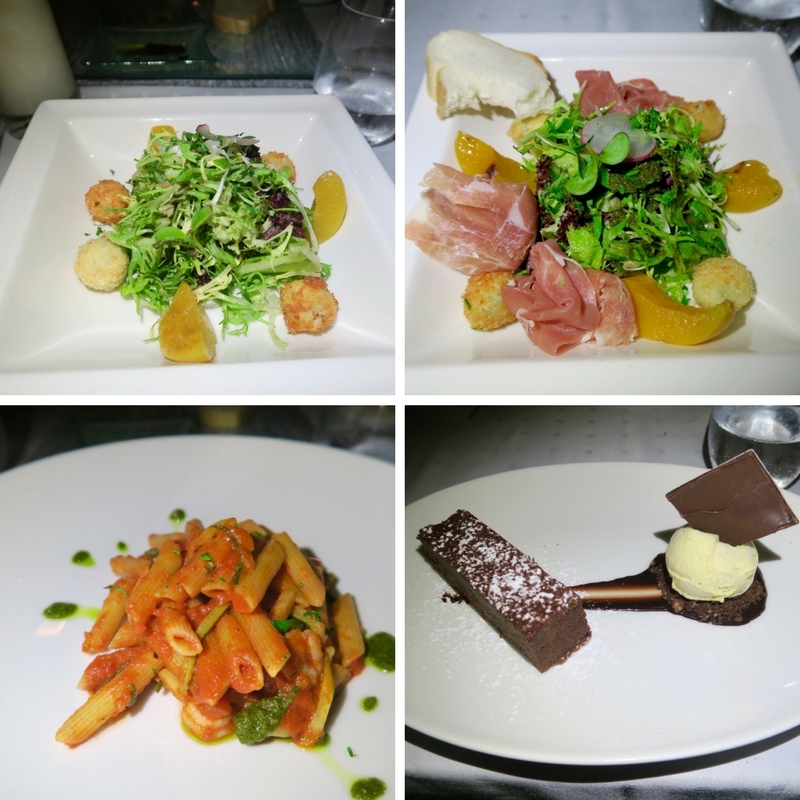 Here are some of the food / restaurants where I ate at during my stay. Lo Brizan Bar is located by the pool area of the resort and offers a variety of light snacks ranging from salads to fish and chips. Live entertainment is also provided during certain evenings at the Lo Brizan Bar. 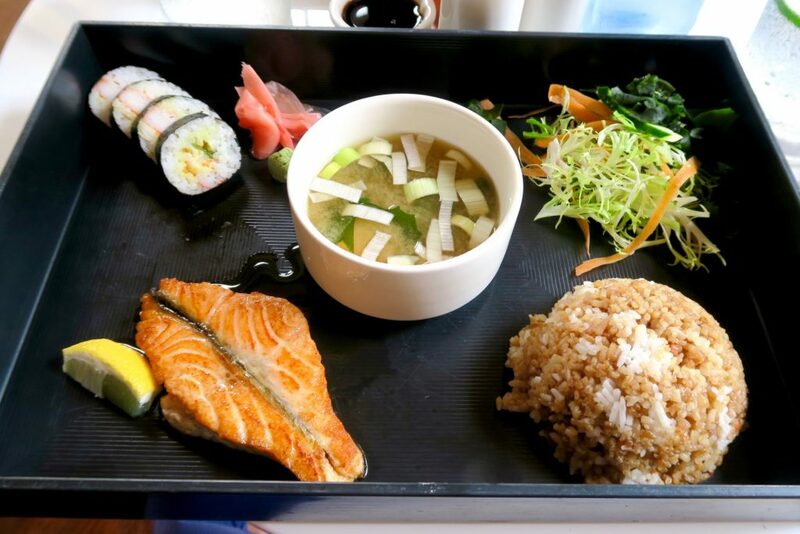 For light lunch, I highly recommend their Salmon box set. Filling enough but still very light with just the right portions and serving. 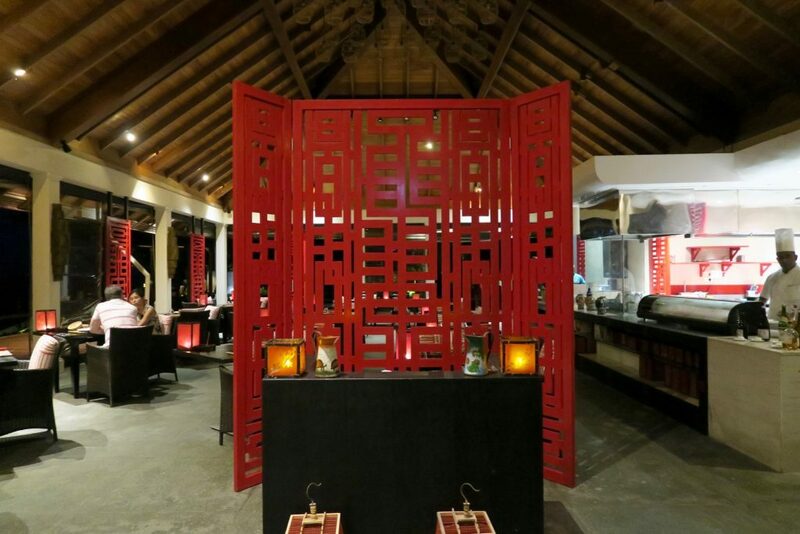 For an Asian flair, the Sakura restaurant offers various Asian dishes from Thai, Malaysian , Chinese and Japanese food. 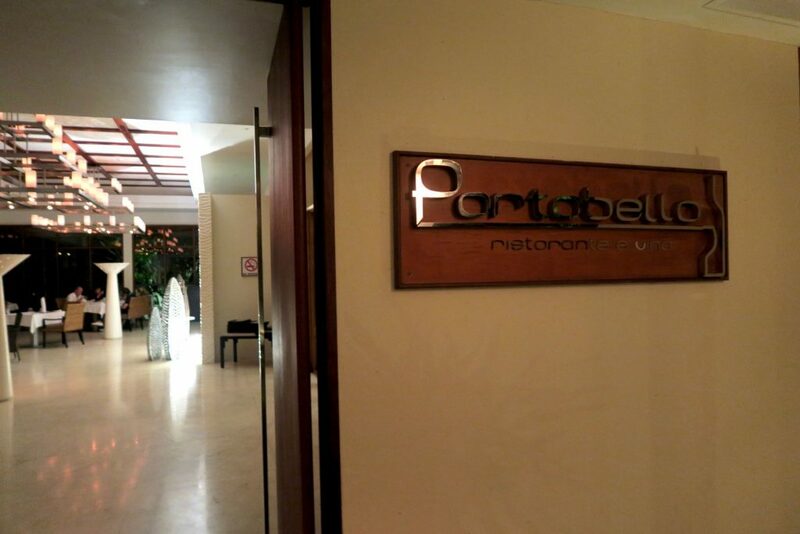 If you feel like a quiet evening and dressing up for it, Portobello is an Italian restaurant that offers fine dining with views of Silhouette Island’s Mount Dauban. Cafe Dauban offers all-day dining with their extensive and delectable buffet selection. Every evening has a different cuisine theme so you need not worry about feed becoming repetitive. 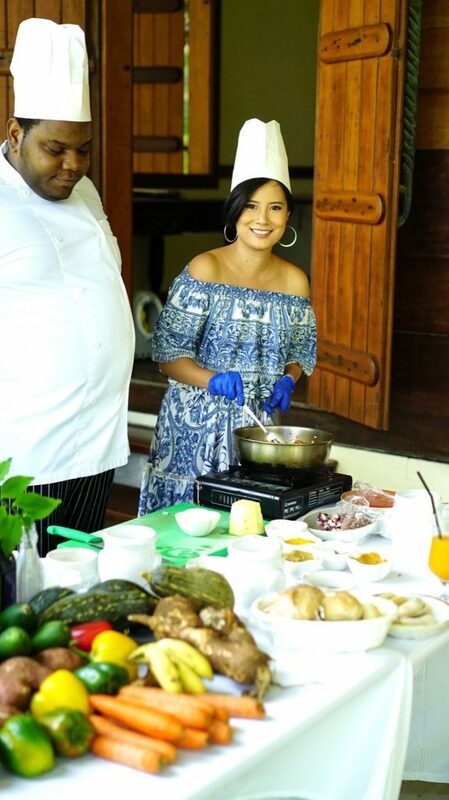 Without a doubt, one of my most memorable experience at the Hilton Seychelles LaBriz was getting a personalised Creole cooking class with Chef Little Nicky and Hilton Seychelles LaBriz’s Executive Chef Josu Sedano. 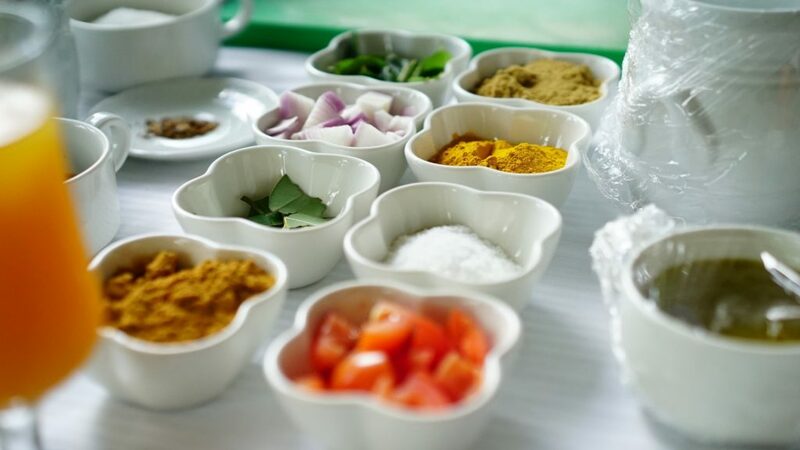 We made a three-course meal consisting of salmon salad, octopus curry and Ladob Banan, a Seychellois dessert consisting of bananas in coconut milk. 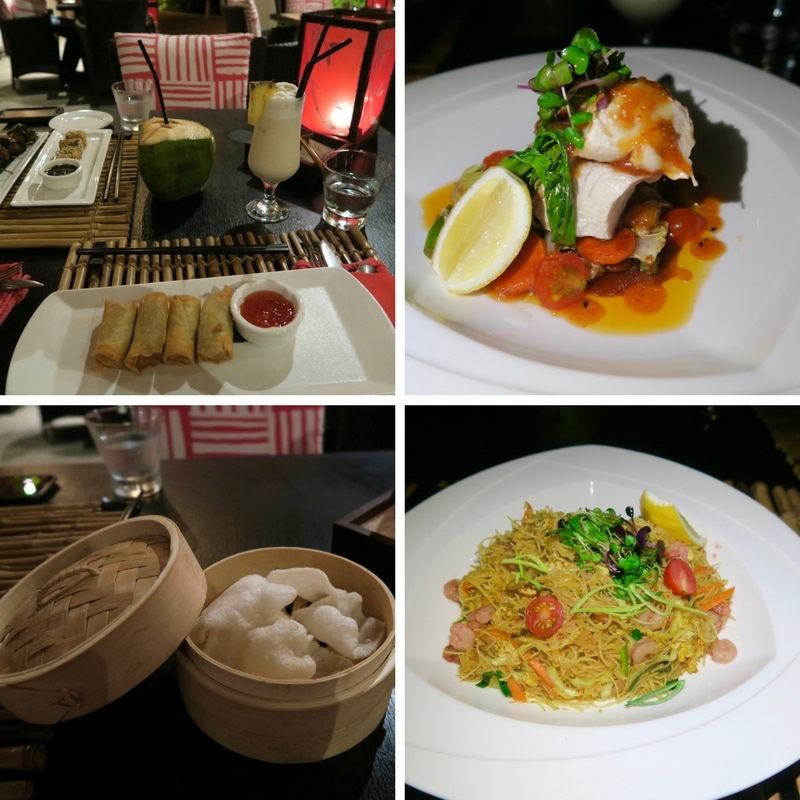 Seychellois cuisine has a very interesting mix of influences. 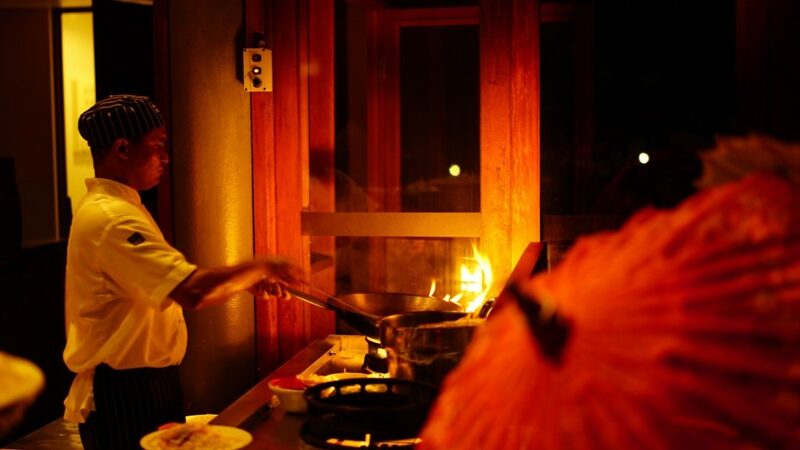 As its continent is officially Africa, there’s a lot of Creole influence in the cooking. And due to its proximity to the subcontinent, and sharing the same ocean, there’s a heavy influence of India in its cooking also. 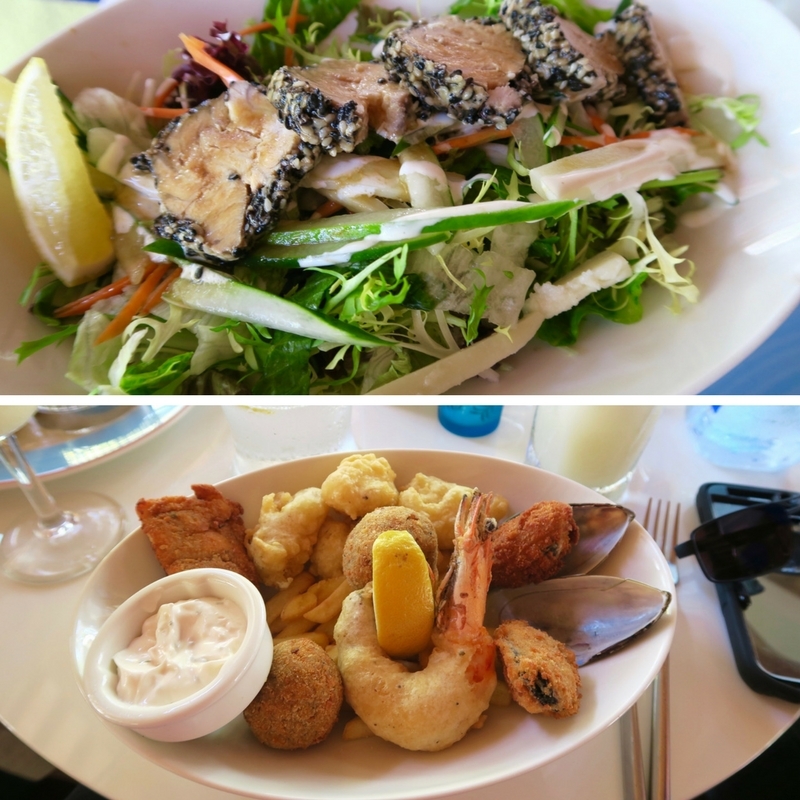 And the best part – because seafood is so abundant in the Seychelles, it is always incorporated in the dishes. 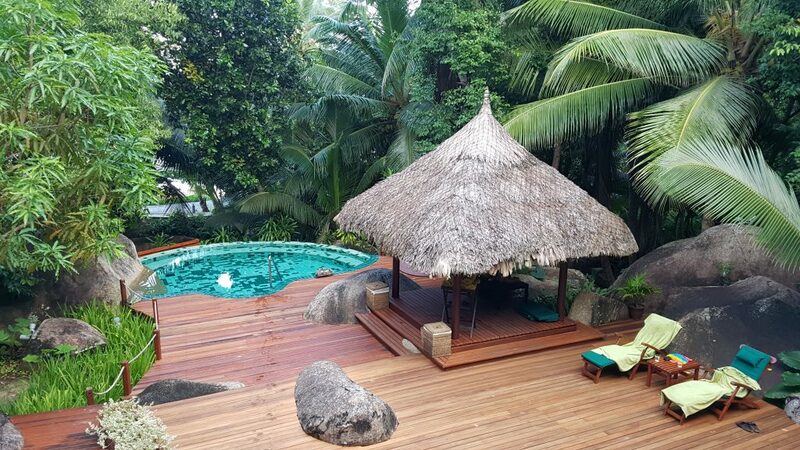 The Eforea Spa at the Hilton Seychelles LaBriz Resort has such a unique location (on the hills overlooking the Indian Ocean) and setting that it’s worth paying a visit even if you haven’t had any treatment booked…yet. As the spa itself is int a hilly area, the massage rooms also have views overlooking the resort and the Indian ocean. Everything you may have seen or heard about the beaches of the Seychelles – those pristine white sand beaches with impressive smooth boulders –you are surrounded by them in Silhouette island. And what makes it even more remarkable is how pristine and serene the beach is, despite it being in a resort. In the three days that I was there, I was at the beach almost everyday and I have not even come across other guests despite the resort being close to full occupancy at the time. Prior to arriving at the Seychelles, I used to think that beaches such as this can only be found hours away from resorts or the main island. Staying at the Hilton Seychelles LaBriz Resort allowed me to have access to the world-famous Seychelles beach while enjoying the luxuries of staying in a resort. Hilton Seychelles Labriz Resort & Spa prices for 2017 starts from 290 Euros per night for a Garden Villa, with breakfast. To book visit bit.ly/Hilton_Labriz , call+248 429 39 49 or email sezlb.info@hilton.com. Stunning hotel! 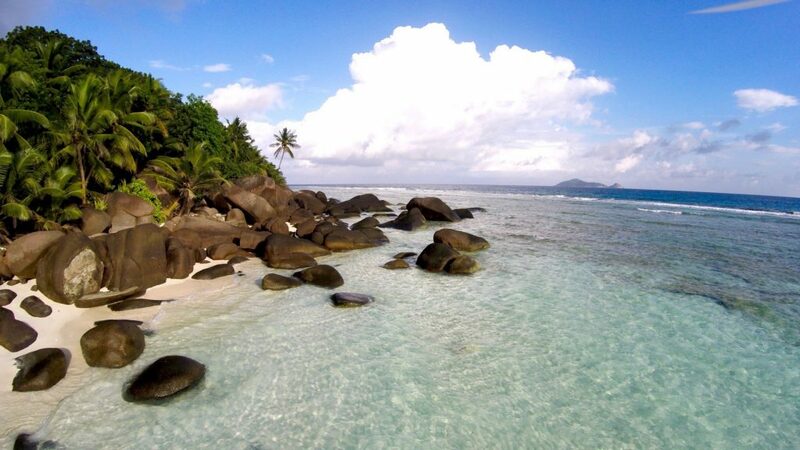 The Seychelles is on my wish list!! Wish I could get my hands on that sushi box, yummo. Gorgeous! It is rainy and cold today here in Orange, so my armchair travels to the Seychelles are most welcome. Delighted to say I am planning a trip to see Mum in Scotland in July and will go via London, so will check out your site for fun stuff to do there and where to stay. The beach is so white and calm. The place is very nice. Got to have this place on my list. I love Seychelles so much… Last time I went to Four Seasons on Mahe island and it was just perfect. This Hilton has beautiful villas! Magnificent post.Love reading your blog.I would visit here with my wife(Maria) in my upcoming vacation.Thanks for the post.Keep sharing.